Already own the text Applied Kinesiology? Call us at 1-800-364-5722, 9am to 5pm, to discuss your enrollment options. 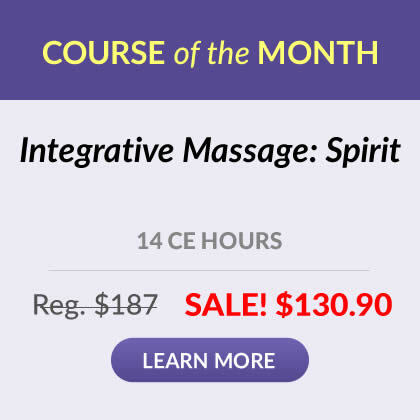 This highly illustrated, in-depth course examines key concepts and principles, new methods and actual case histories in the practice of Applied Kinesiology (AK). Learn about how new AK muscle testing and correction methods can benefit massage therapists and their clients. The textbook contains essential reference materials you can use over and over. This course does not teach hands-on skills. Please seek additional experience, with a mentor, to add hands-on skills. 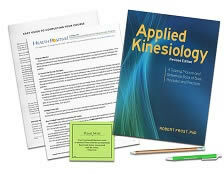 Identify the history, key concepts, fundamental procedures and benefits of Applied Kinesiology (AK). Recognize and correctly order the step-by-step procedures of muscle testing. 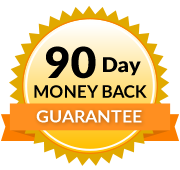 Identify essential pretests to improve accuracy in testing results. Identify and correctly order assessment and methods for a variety of problems. In conjunction with muscle testing, challenge helps the examiner to discover the underlying factors and corrective measures for any disturbance. In general, any challenge that can correct a problem will strengthen and make normotonic a muscle that tests weak because of the problem, when the correction implied by that challenge is appropriately implemented. If the abdominal muscles test weak, it may be due to excessive tension in their antagonist, the ______ muscle.